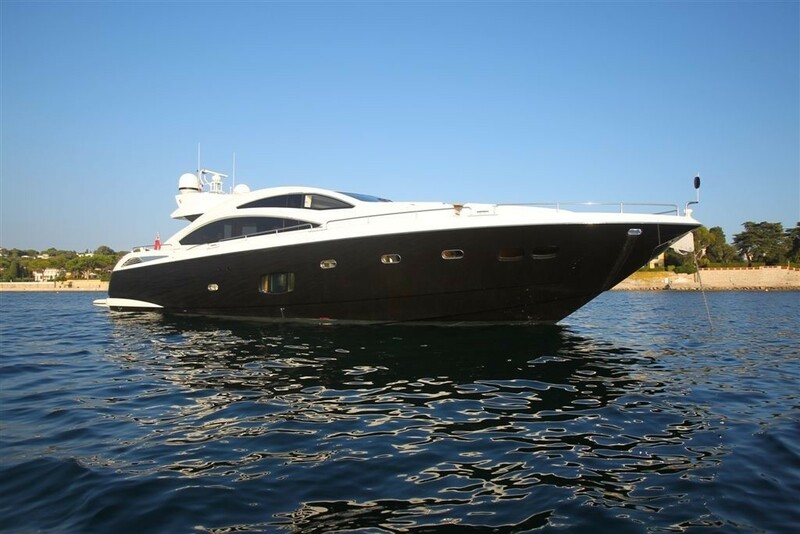 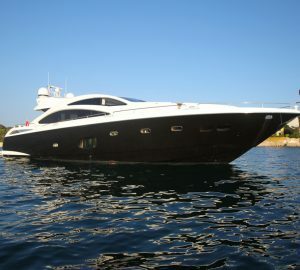 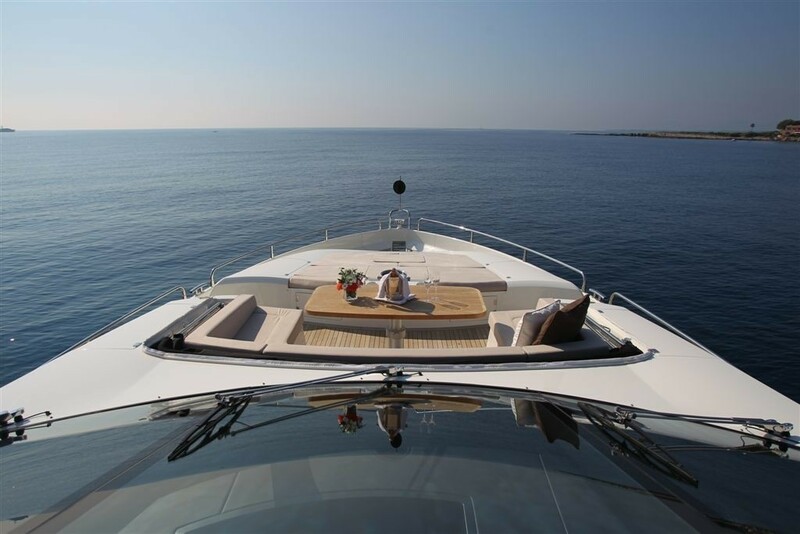 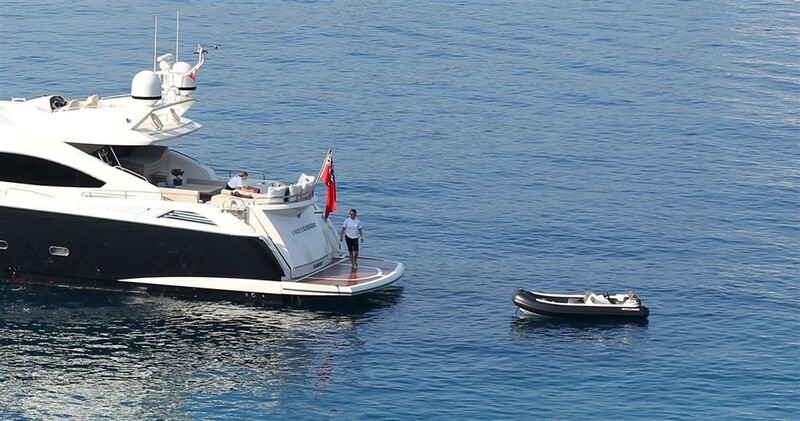 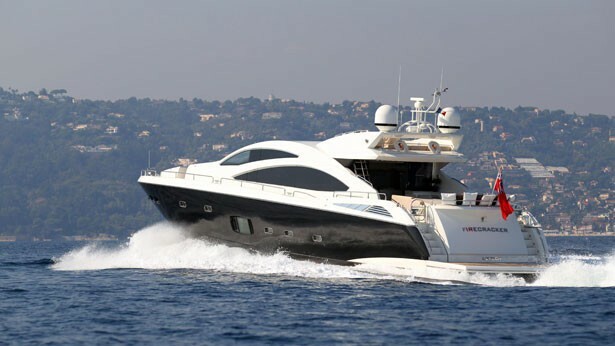 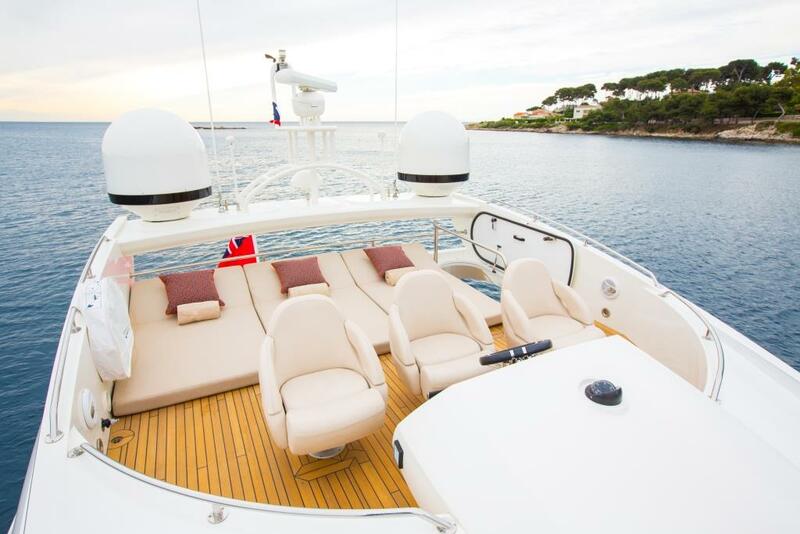 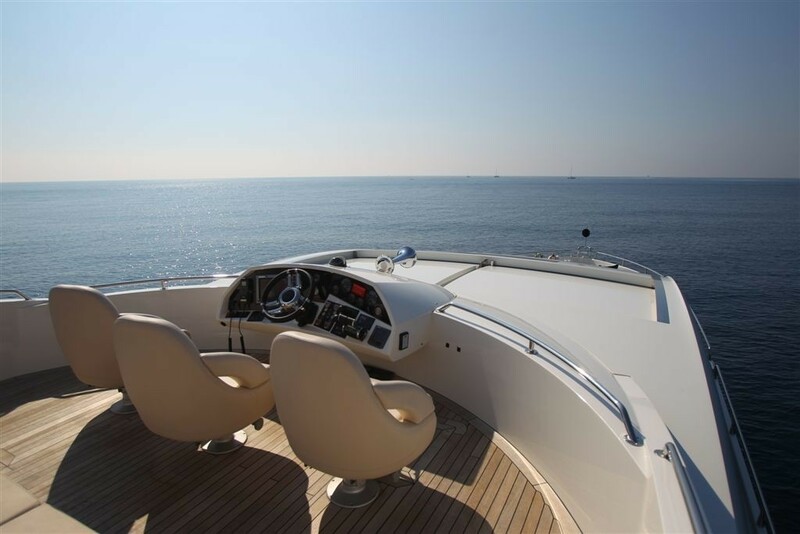 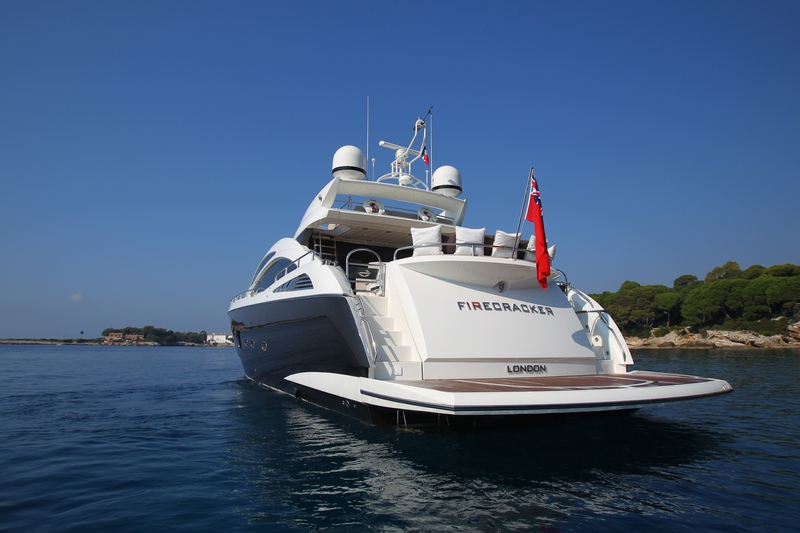 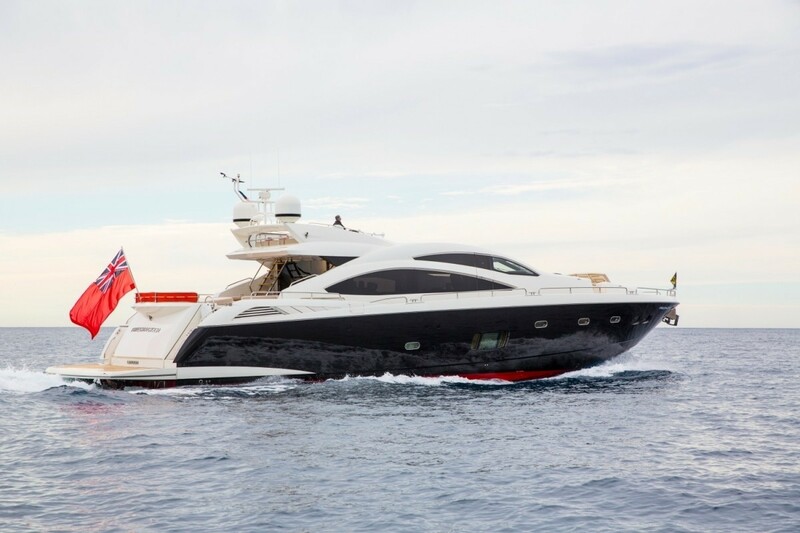 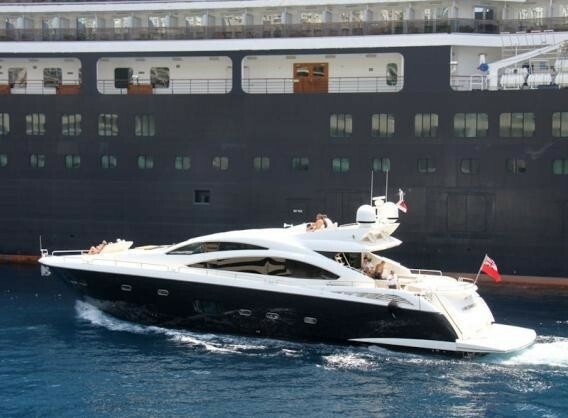 Luxury Motor Yacht FIRECRACKER was designed and built by well renowned Sunseeker in 2011 and measures 26.49 meters (86.9ft), the yacht accommodates 8 guests in 4 spacious cabins. 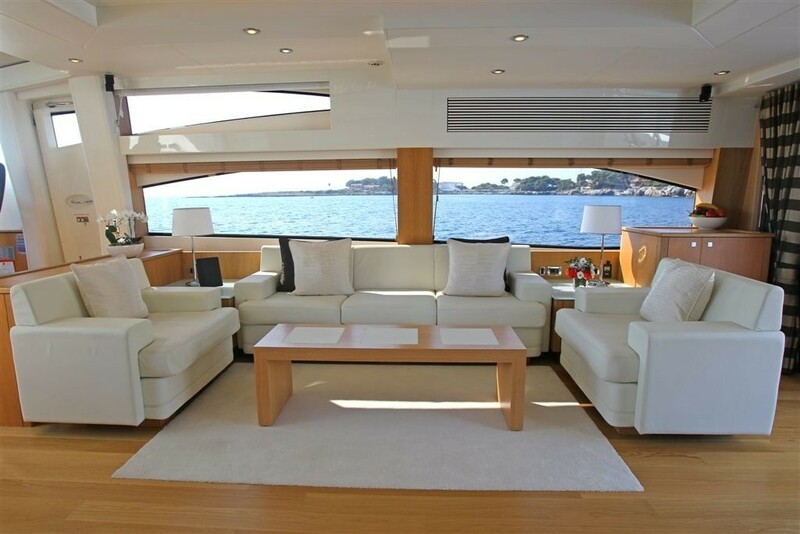 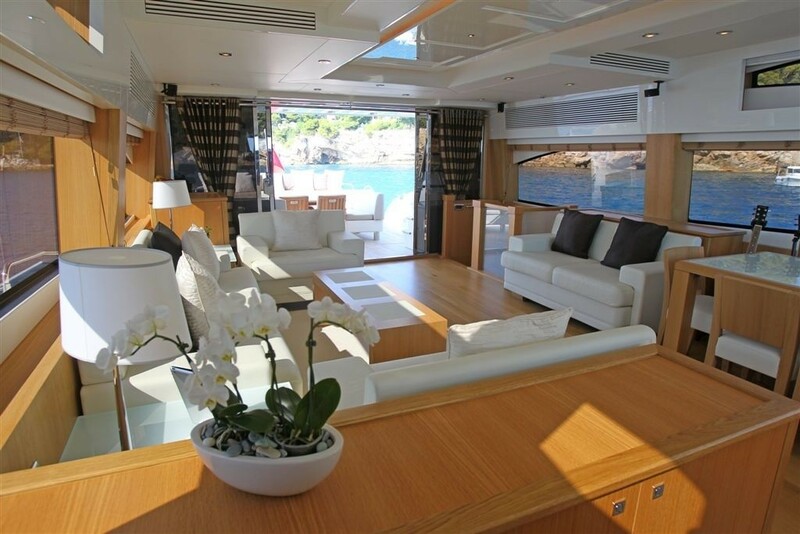 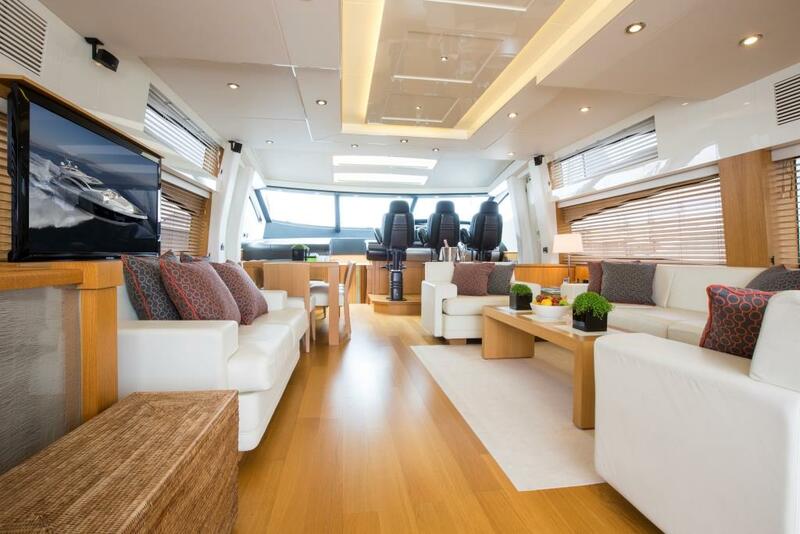 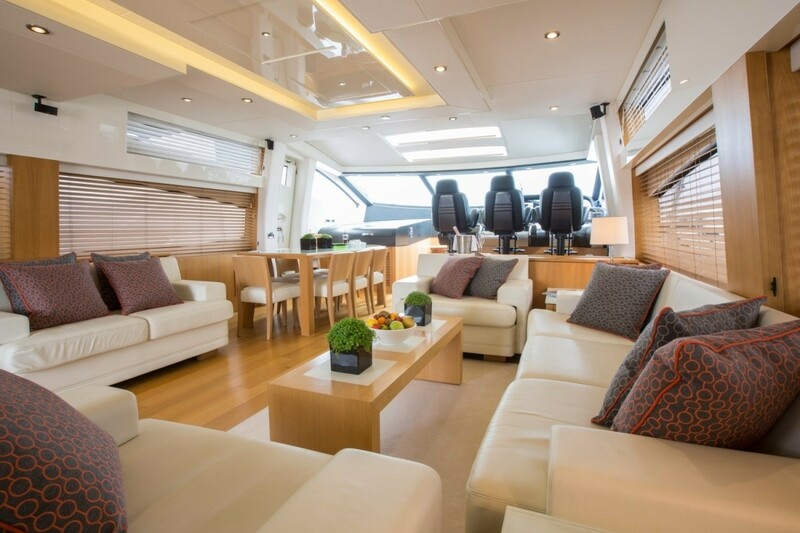 Superyacht FIRECRACKER is a great example of the clever use of space; the interior is light and airy, the salon and dining area are an open plan, the salon features plenty of comfortable seating on light cream leather sofas, warm honey woods and floors and large panoramic windows allowing in ample natural light. 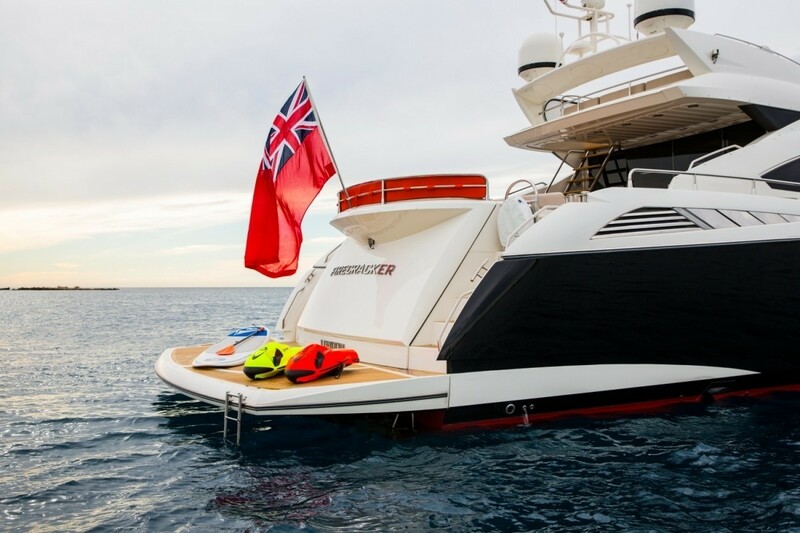 Luxury Yacht FIRECRACKER has voluminous deck areas, leading out through the sliding glass doors in the salon, the aft deck offers an alfresco dining option and large aft sunpads, followed by steps which continue down to the extended swim platform. 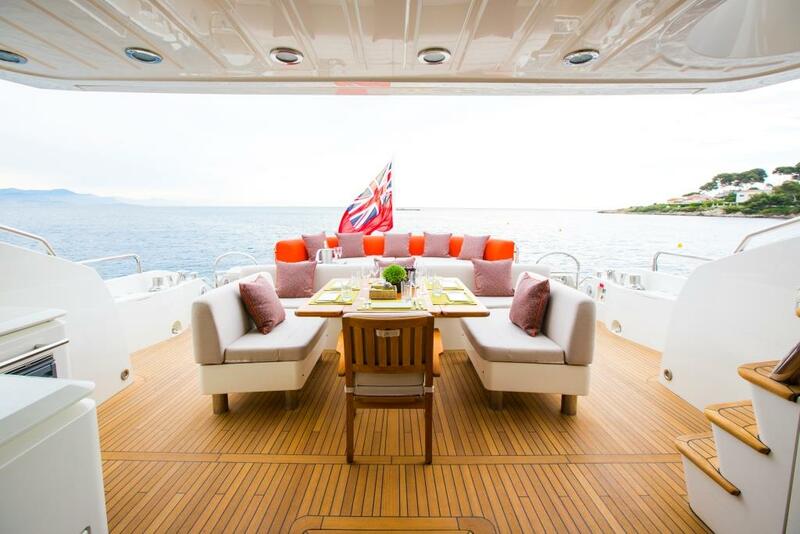 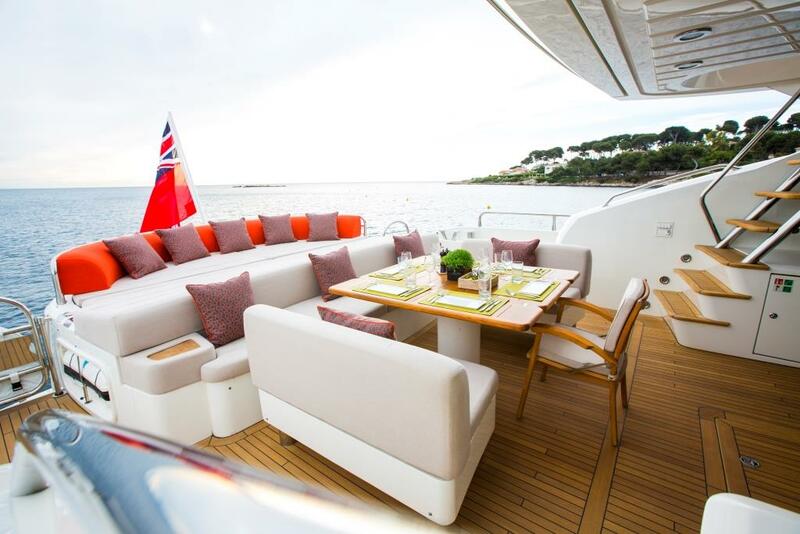 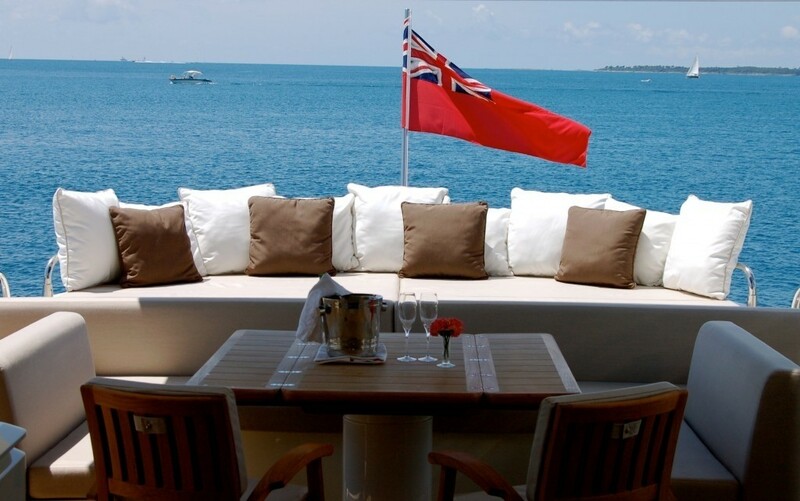 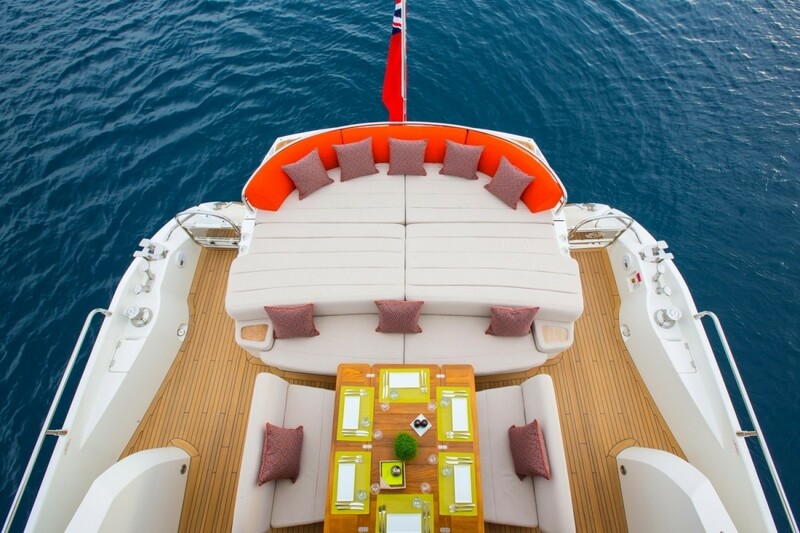 The foredeck is accessed from either port or starboard side decks and features a further alfresco dining option and large sunpad. 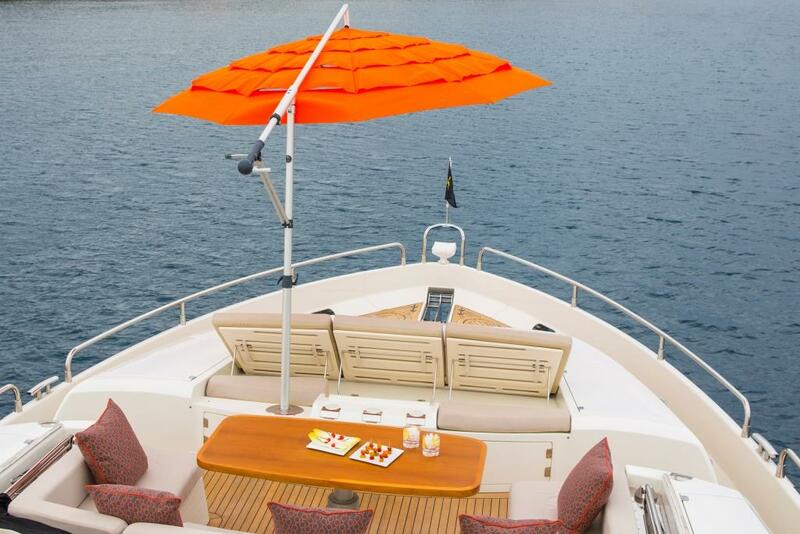 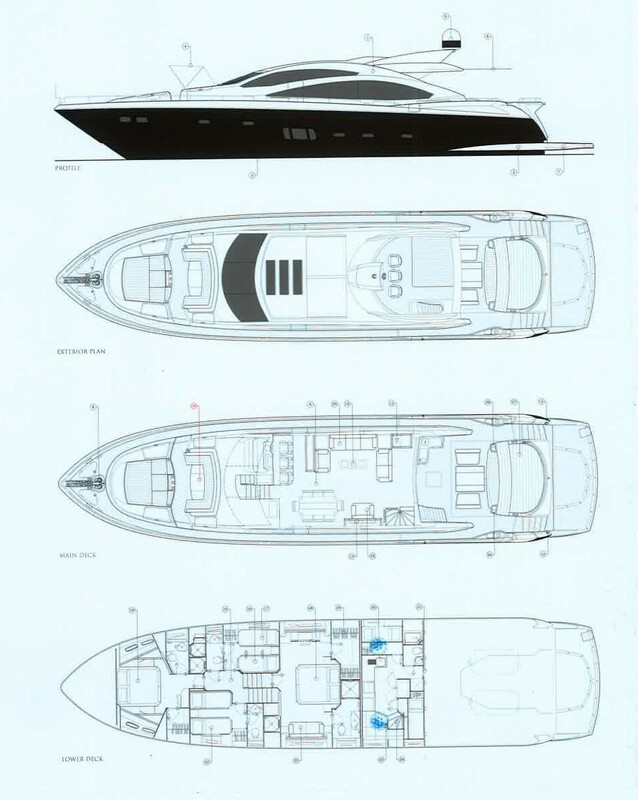 Both the aft and foredeck have an optional Bimini. 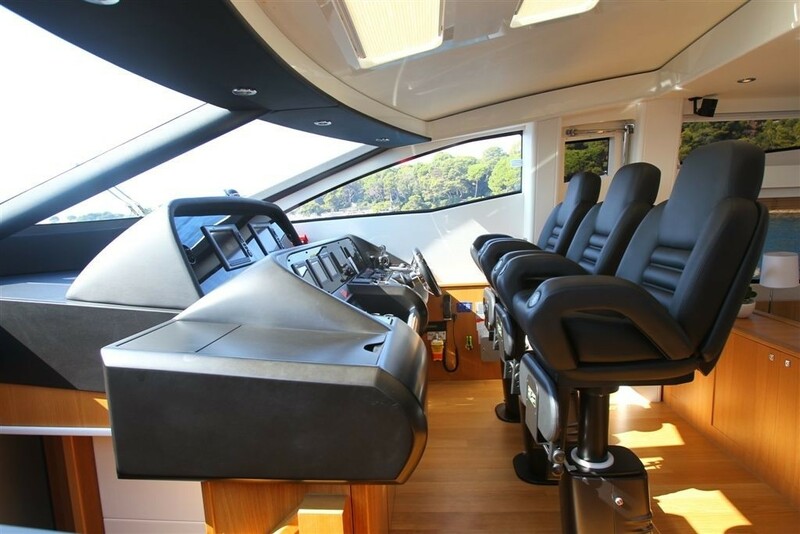 Above the main deck the flybridge offers 2 seats next to the captain for that bird’s eye view with additional seating behind. 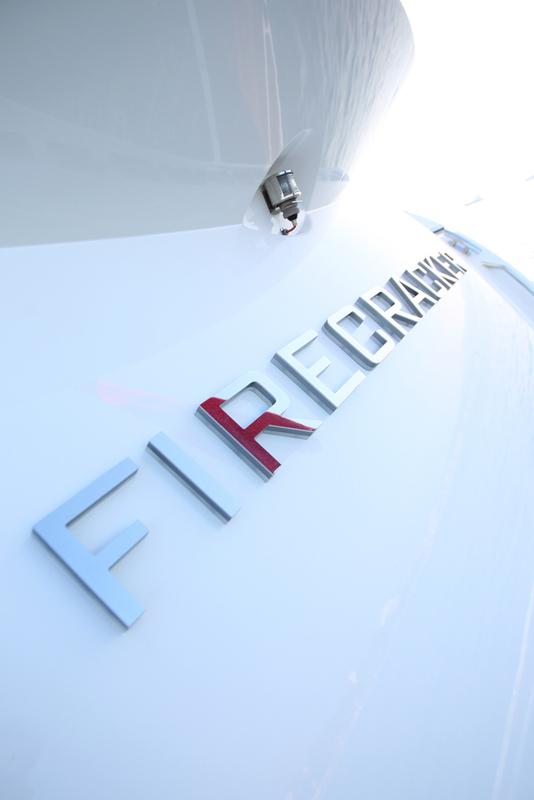 Motor Yacht FIRECRACKER has a beam of 6.34 meters (20.8ft) and a draft of 1.7 meters (5.6ft), she cruises at speeds of 24 knots. 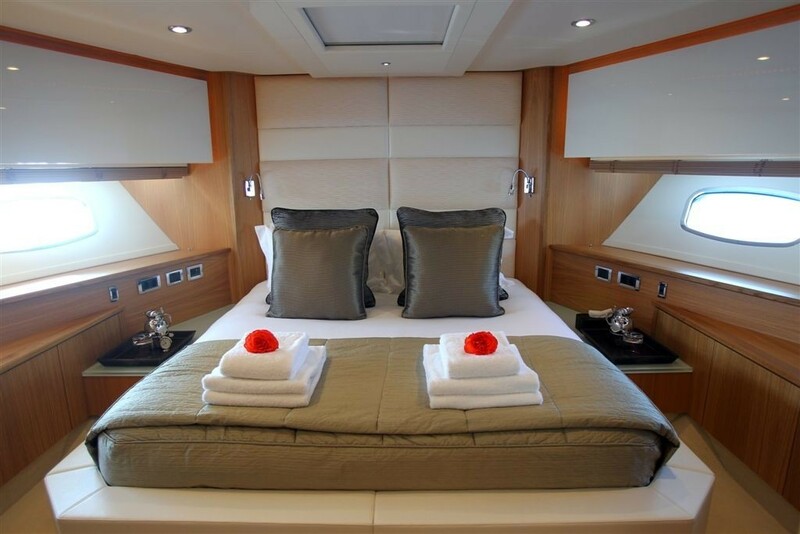 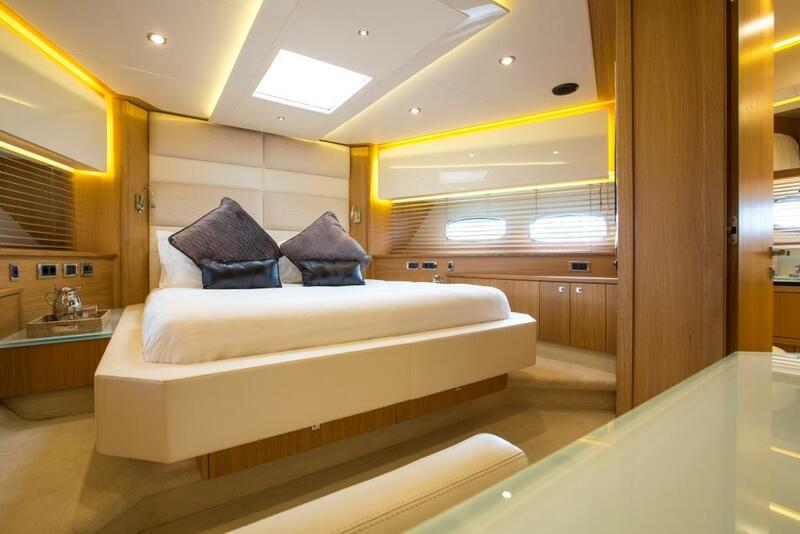 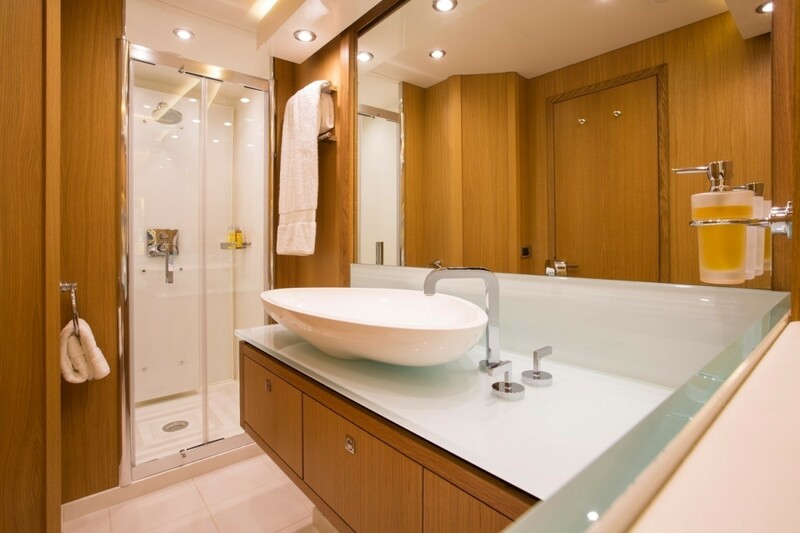 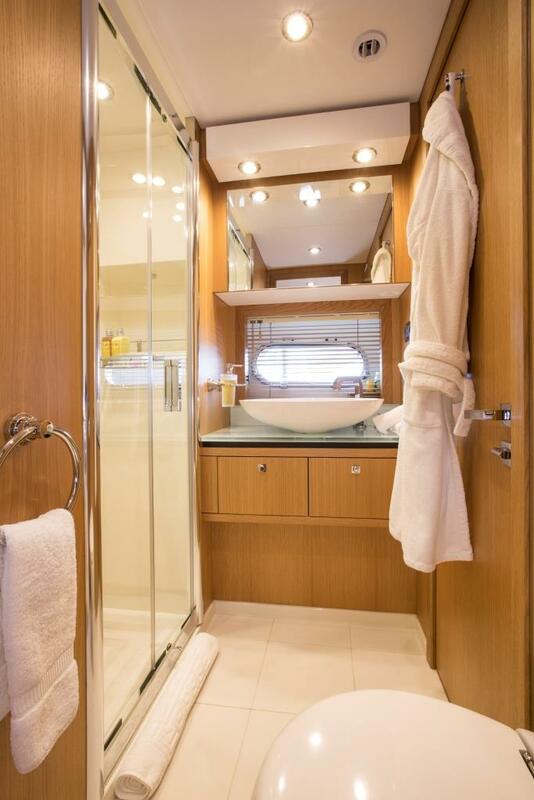 Luxury motor yacht FIRECRACKER can accommodate 8 guests in 4 cabins, the master suite is full beam of the yacht with a queen size bed, sofa and vanity, with 3 large ports on each side the master suite receives great natural light highlighting the simple but tasteful décor. 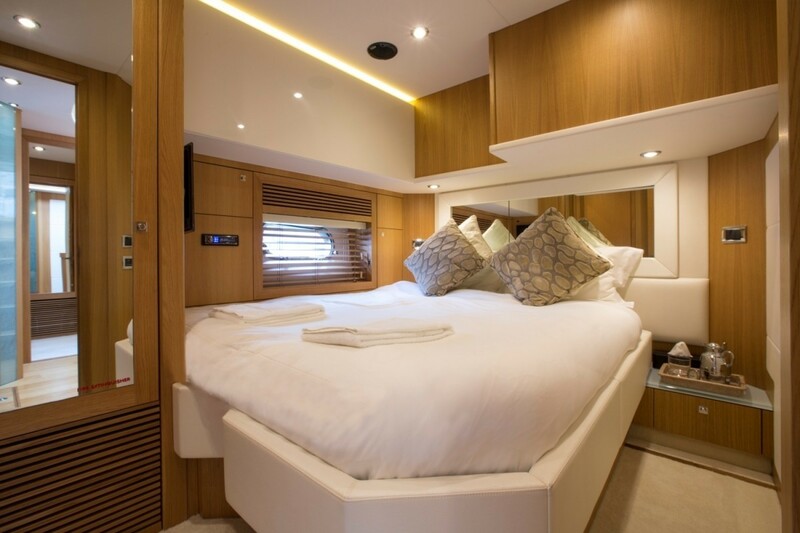 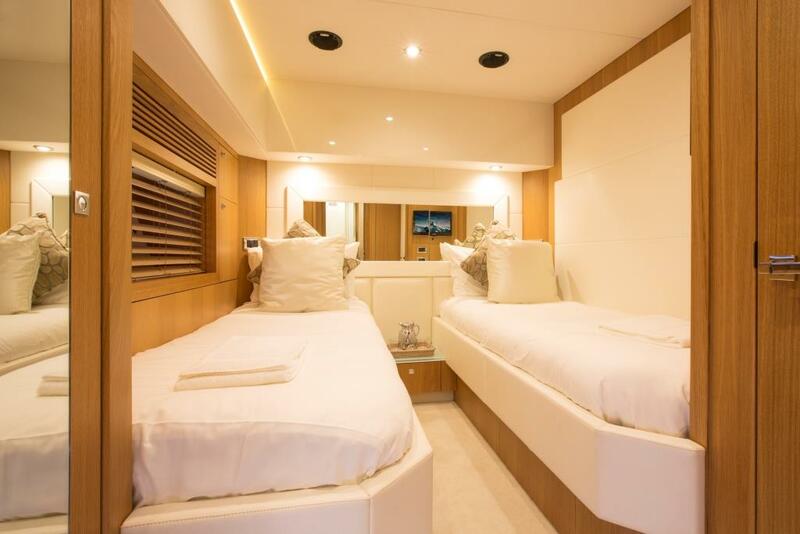 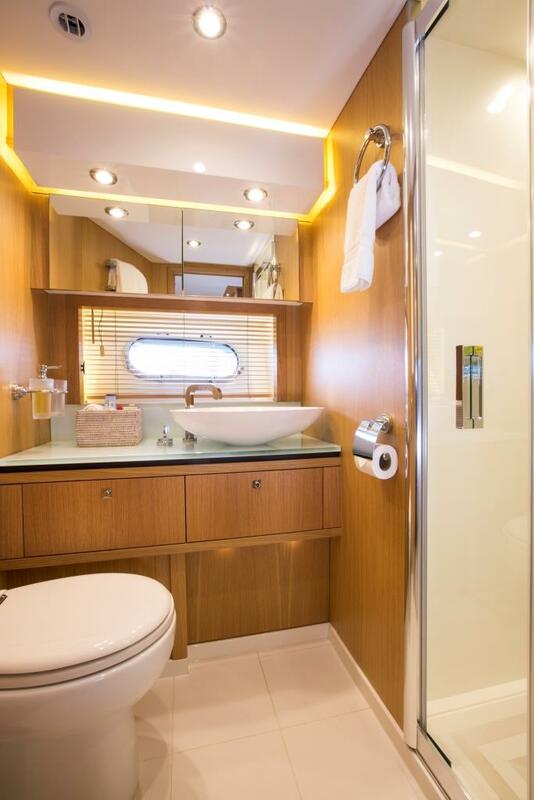 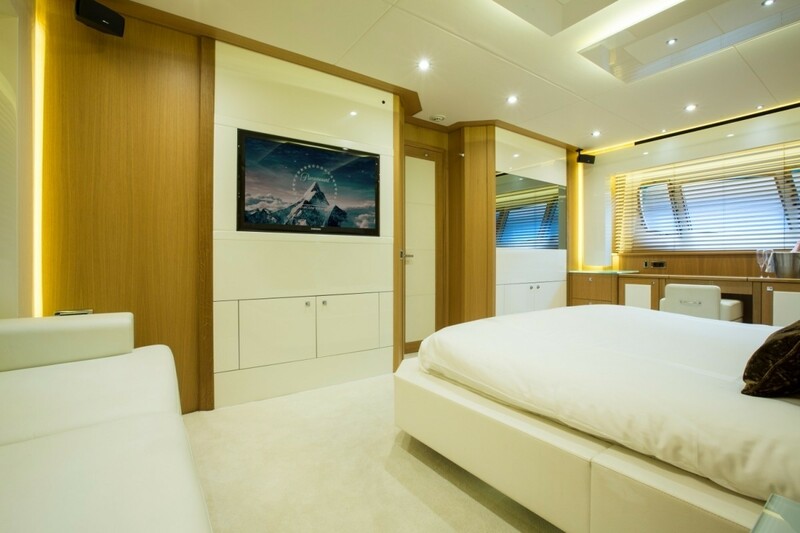 The VIP cabin is forward and full beam of the yacht offering a queen size bed, vanity and ample natural light, while a further 2 comfortable twin cabins have single beds, all cabins have en-suite facilities, HD Sky TV/DVD. 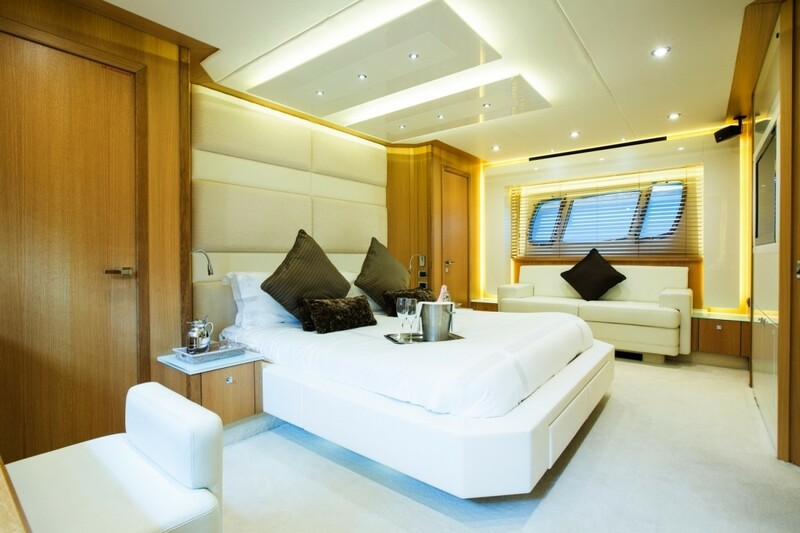 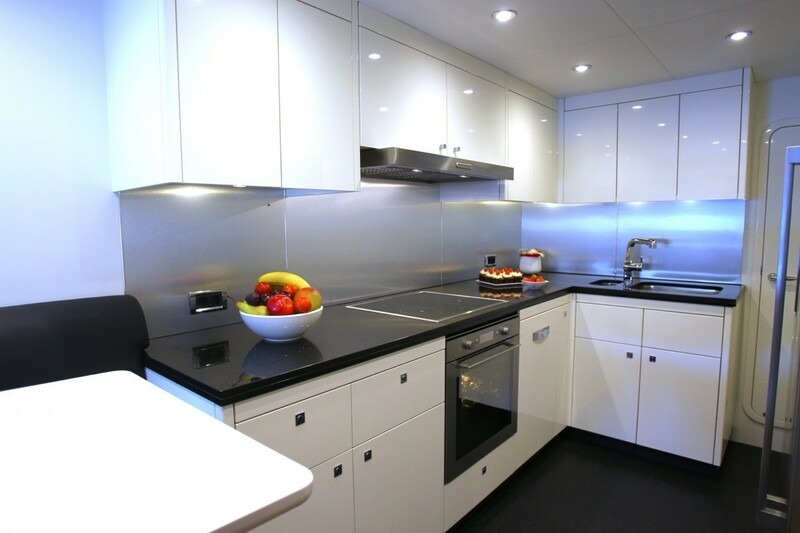 The yacht has Air-conditioning throughout. 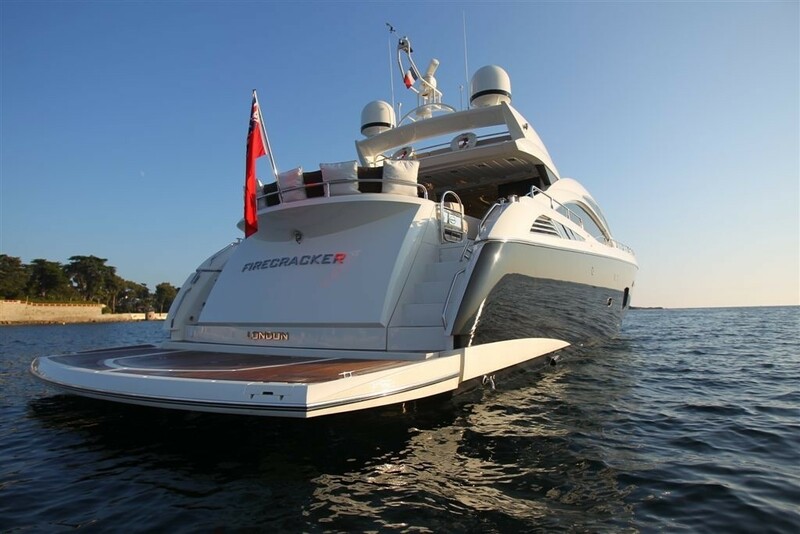 We do have available further amenity, owner and price information for the 26.49m (86' 10") yacht FIRECRACKER, so please enquire for more information.